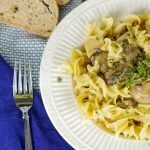 While stroganoff is typically made with beef, leftover turkey is an excellent protein alternative. 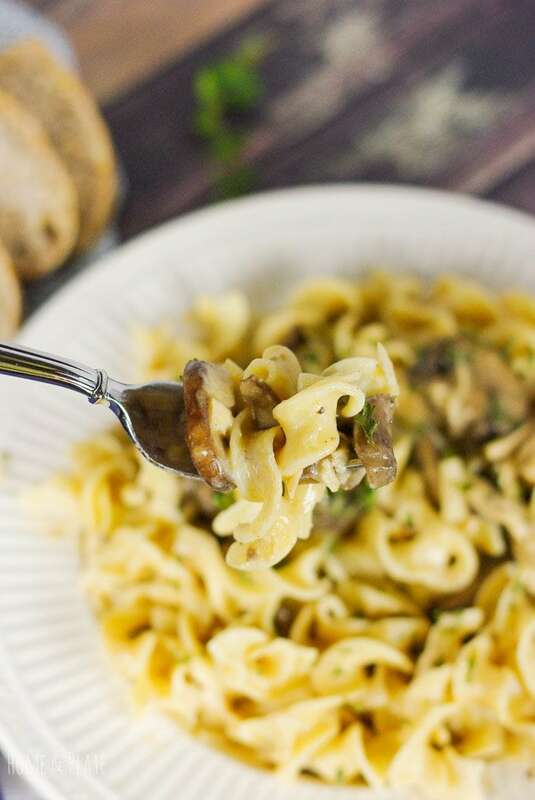 The addition of baby bella mushrooms, a little white wine and a few herbs and spices gives this dish an earthy deep flavor. After spending all day in the kitchen on Thanksgiving day I really need a day off. 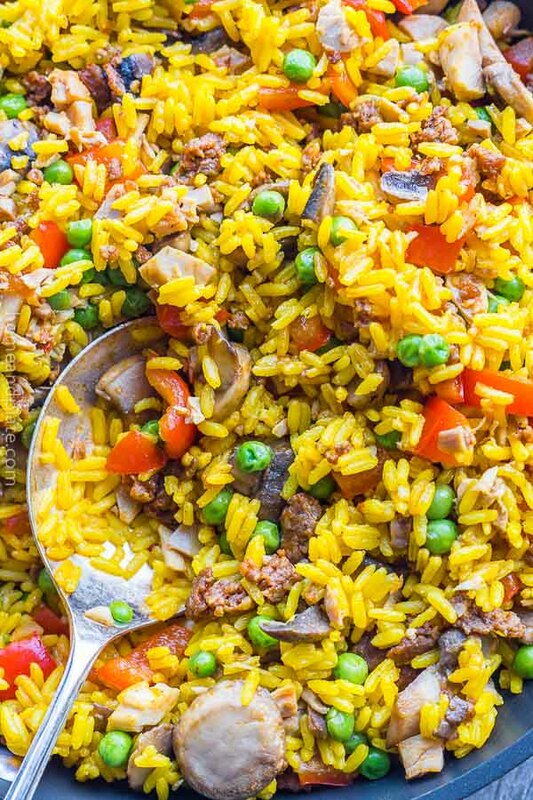 This recipe takes 30 minutes from pan to plate. It’s the perfect dinner. 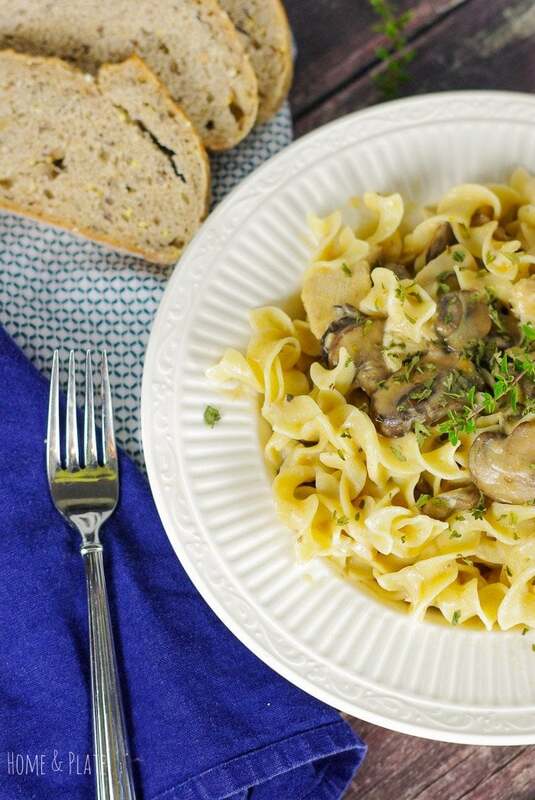 Some turkey stroganoff recipes can be bland but not this one. Intensely flavored baby bella mushrooms, robust paprika and fragrant herbs de Provence transform this dish into something savory. 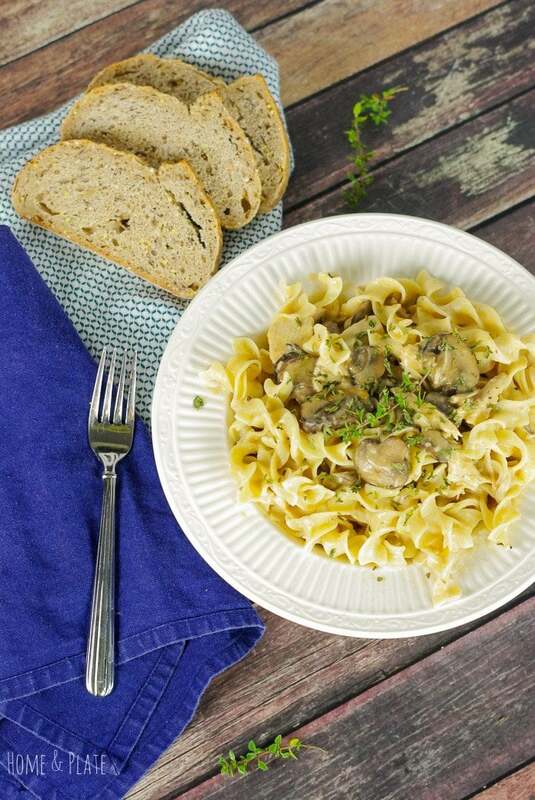 Stroganoff calls for sour cream but swap it out for plain Greek yogurt if you are looking for a healthier alternative. Be sure to check out my Gobble-Good Roasted Turkey & Rice Soup for another way to use up that leftover Thanksgiving turkey. In a large skillet over medium high heat, melt 1 tablespoon of the butter. Add the mushrooms and cook for 4 minutes. Add the wine and sauté another minute or until the mushrooms have browned. Stir in the minced garlic, parsley, herbs de Provence, kosher salt and paprika. Sprinkle the flour over the mushrooms and stir in the last tablespoon of butter. Mix the flour into the mushrooms well. Next, add the chicken broth and simmer slowly until slightly thickened. Then add the turkey. Remove the pan from the heat and stir in the sour cream and drained noodles. Mix well to coat the noodles with the sauce. Sprinkle each plate with a pinch of parsley. Turkey stroganoff sounds perfect to me! Bring on the leftovers! Yup…There is something about the leftovers from the big dinner. Thanks Michelle. This is such a great way to use up all those Thanksgiving leftovers! Thanks…I’m all about healthier recipes after the big meal. What a great way to use up leftover turkey, we’re getting a giant bird for thanksgiving so there will be plenty of meat leftover to try this! What a delicious and healthier idea to use left-over turkey! We’re going to someone’s house and now I wish I have some left-over turkey so I can make this! So are we…But I picked up a turkey breast because we all love the leftovers. At what point do you add the turkey? Made your recipe yesterday and thought it was delicious, thank you.